Theseus is beloved of the gods. He is also—alas—a bit too beloved of himself. But when a man is bigger, bolder, stronger, and more desirable than any man around him, what is to hold his feet on the earth? 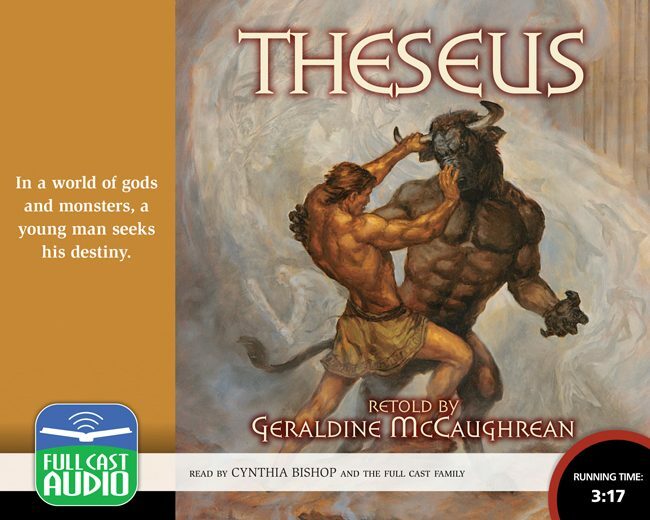 The tale is one every educated person should know—not just Theseus’s pulse-pounding battle with the terrifying minotaur, but the whole arc of his life. Follow him through his first, high-spirited adventures with monsters such as Procrustes and Sciron, through his years as king of Athens and his great loves Hippolyta and Phaedra, to the thundering climax of his fateful conflict with his son, a tale filled with deep pain, and great love. With prose that is graceful, witty, poetic, and sometimes ferocious, England’s most honored writer for young people brings a great hero’s story to fresh life for listeners of all ages.